A proposed Light Rail Transit (LRT) system is a key part of Mississauga and Brampton’s vision for the Hurontario-Main corridor. This is a large, complex city-building project from the Port Credit GO Station in Mississauga to the GO Station in Downtown Brampton. More than a transportation route, the LRT system is intended to be a means of economic and residential development, and improved quality of life throughout Mississauga and Brampton. This project will help transform these communities from suburban to urban. It supports growth and positive change by connecting people with destinations using sustainable transit. 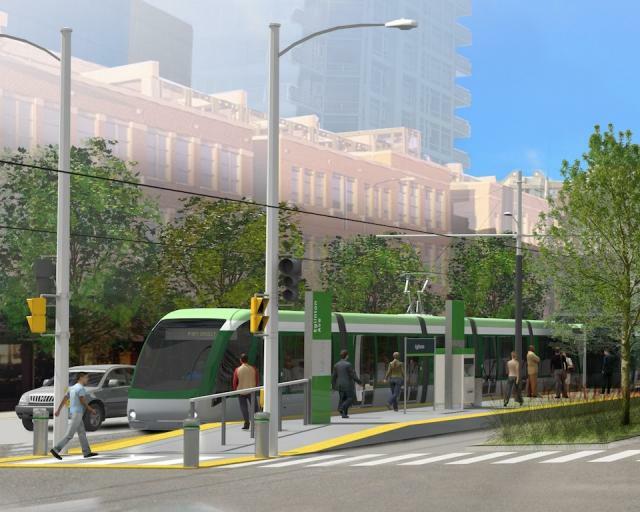 The Hurontario-Main LRT will be designed to address congestion and improve traffic along the corridor. Metrolinx, along with the cities of Mississauga and Brampton are investing in efficient transit, to build vibrant, safe, prosperous and connected communities.